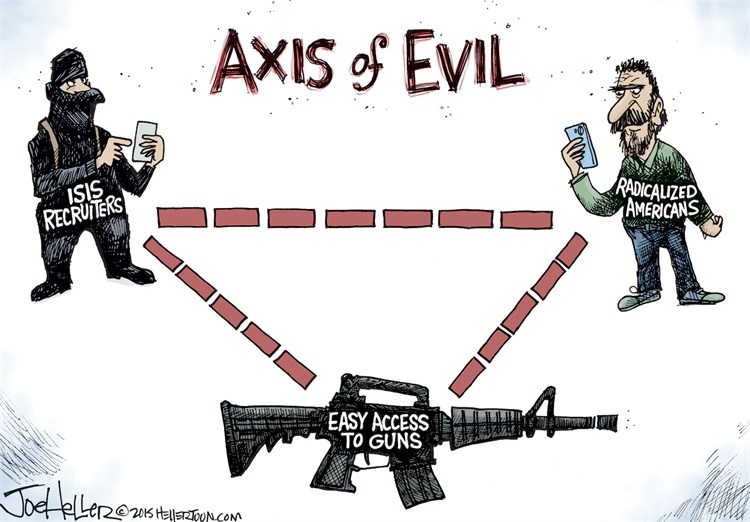 The Axis of Evil in America is a triad like the Axes of Evil in the 20th century. Except the Axis of Evil within America is not a group of foreign powers but an internal ideology that works against America as founded. The left that the Democrat Party is openly embracing is the ideology of anti-Americanism. It’s not that they haven’t been leftist from the beginning or taken a stand against the Constitution, but now they believe they can openly avow their communist hate for Christian capitalism. America’s Axis of Evil is predicated on the left’s slander of Christianity and deceptions of the glory of capitalism. 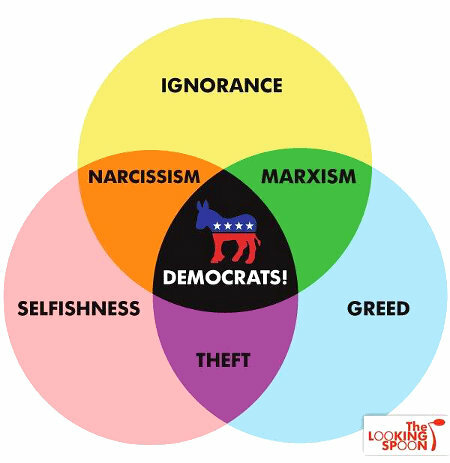 Democrats are saying the new “Axis of Evil” in the world is Russia, Saudi Arabia, and the USA. They damn the USA as evil in their twisted world view when it is run by Republicans. When they are running it, they are allied with socialists, Latino-communists, and Islamo-nazis around the world. When they are running America, they are overthrowing allies in favor of America’s enemies. 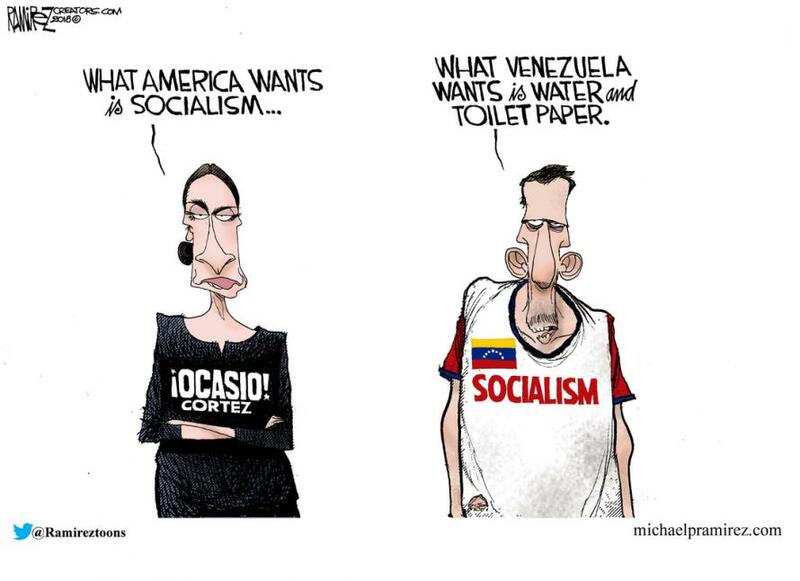 If this doesn’t tell you that Democrats want to destroy America and undo the Constitution to establish their own socialist dictatorship then you lack the eyes to see, ears to hear, or a brain that thinks. Democrats strive to criminalize Republicans, Christian morality, and conservative opinion. They want to be the ones in power to rule over others and force the masses to comply to their dictates. Leftists are the ultimate immoral control freaks who want to impose their beliefs on others without regard to their well-being. They claim that what they do is for the people’s benefit, but that’s like criminals who say they are liberating your money to benefit the poor and by defending yourself you are forcing them to kill you. Leftism is not the co-equal ideology of a different way to do things right. 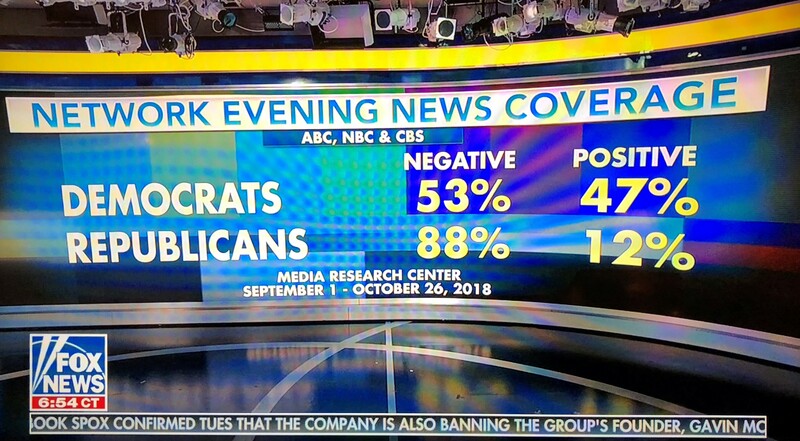 The left is never right! Leftism is the embracement of the negative ideals of humanity using the excuses of the amoral sociopath to take what they want for themselves. If they can dupe people into giving it to them then it saves them the trouble and risk of taking it by force. Young liberal leftists are easily confused by words and their meanings because they lack education. Even those who have college degrees lack education because they have been indoctrinated into leftism. The factions of leftism are purposeful to divide people. Liberals use the term “tribalism” in reference to Republicans without understanding it. Being tribal doesn’t mean different groups that stand together. Tribes fought each other, not lived in blissful harmony. They sometimes banded together against mutual foes. Because they don’t understand this, liberals believe foolish leftist sayings like “the enemy of my enemy is my friend” means just that. The truth is the enemy of your enemy may be a worse enemy to you. 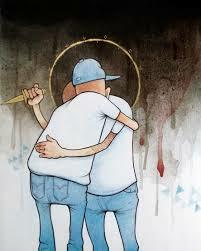 They are only your “friend” when they are attacking your enemy. 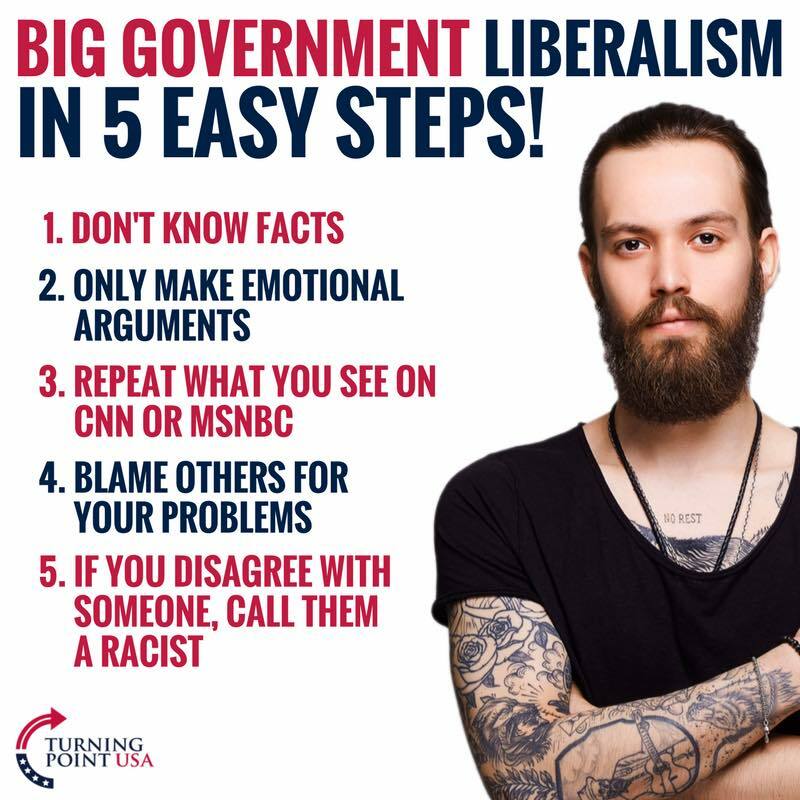 Many old sayings are scorned by young liberals as being “obsolete” because they don’t understand the wisdom behind them. Wisdom can never be obsolete. These are the ideologies of leftism. Liberal-fascism includes all America haters, anti-Christians, and criminals in the United States. They embrace their foreign brethren of Latino-communists and Islamo-nazis because they all want to destroy Christian America. These groups are just like the Axis of Evil in the last century of Fascist Italy, Nazi Germany, and Communist Russia allying at the beginning of WWII. It wasn’t till 1940, after Hitler turned to Imperial Japan as an ally and go to war with Russia, that the Soviets changed sides. The Islamo-nazis joined with Hitler from the beginning but were always considered an insignificant ally. After WWII, during the Cold War the Axis of Evil in the world was the Soviet Union, Red China, and American Democrats who became warped far worse under LBJ. After the fall of the Berlin Wall and collapse of the Soviets thanks to the greatness of Ronald Reagan, it became Islamic countries of Iran and Iraq and the extreme communists of North Korea that formed the Axis of Evil in the world. After the Iraqis were broken, Obama allowed ISIS to form by funding the Muslim Brotherhood. They have been a symbol of leftism waging Jihad to re-establish the Caliphate of Islamic conquest and oppression. Today the Axis is socialism, atheism, and Islamism. Like their fascist, Nazi, Communist predecessors, they can be counted on, even as they wage war with Christianity, to turn on each other because that’s what evil people do. Charges of racism are meant to silence the righteous. Congressmen Steve King was recently castigated as making “wildly racist remarks.” Before I believe anything a Democrat says it is always wise to read a couple of actual remarks the left is saying proves King is “wildly racist.” He didn’t say anything like he doesn’t want black babies to be born as Democrats are actually doing through the greatest genocide in history by promoting abortion. He said, “we cannot repopulate our civilization with other people’s babies,” which is a fact. Other people’s babies will not uphold our civilization but establish their own to overthrow us. And pointing out that blacks and Latinos will be in conflict with each other is hardly racist. That’s like saying Nazis and Communists going to war with each is racist after they allied to conquer other countries. 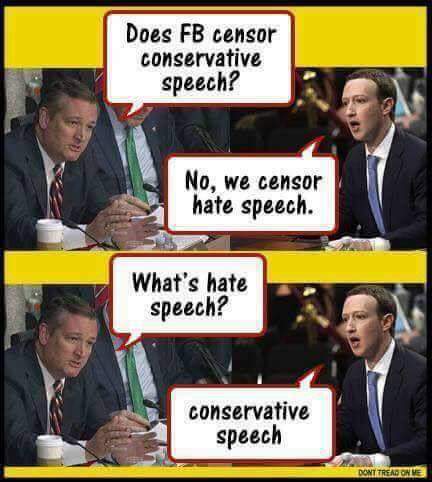 It’s just more leftist slander twisting meanings and censoring speech. They say the same about things Trump and other good people have said. “Believe half of what you read and none of what you hear” is an axiom by which to live. Never believe anything leftists report at the start of an issue or incident because they always warp the truth and distort the facts to create the story they want. That’s why third-party statements are labelled as “hearsay” in court. “I heard him make racist remarks” is not a valid truth. Always, always, always go to the source to hear an exact quote. Creative editing and other propaganda techniques used by the left are meant to deceive people. President Trump rightfully declined to comment on Rep. King on the basis of what reporters claimed he said. Leftists constantly use their false narratives to attempt entrapping righteous people into condemning others on the basis of their lies. This is not about condemning actual racism but about silencing the truth of free speech. Leftists make charges of racism and treason over issues that often hardly even qualify as controversial. They do it, not to debate right and wrong, but strive to make their morality rule over righteousness. 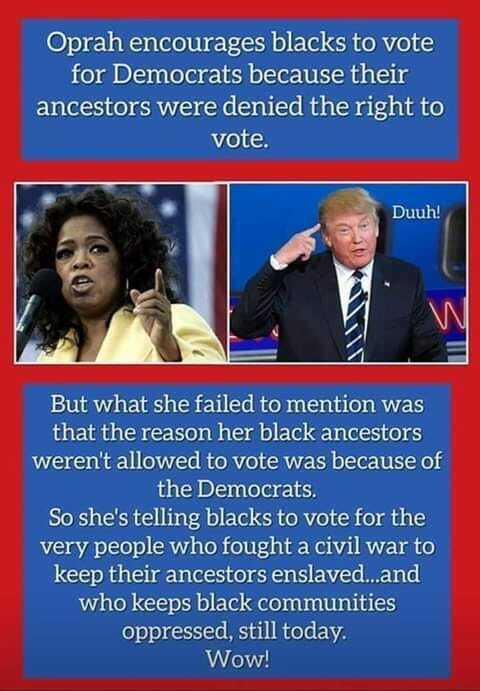 It’s not only wildly racist but two-faced subterfuge for Democrats to say the Founders were white supremacist slavers when it was Democrats who were the ones that demanded slavery not be abolished by the Constitution. The left is slandering the righteous with sins that are the heart of soul of leftism saying that the right are Nazis when it is the left that has always been. 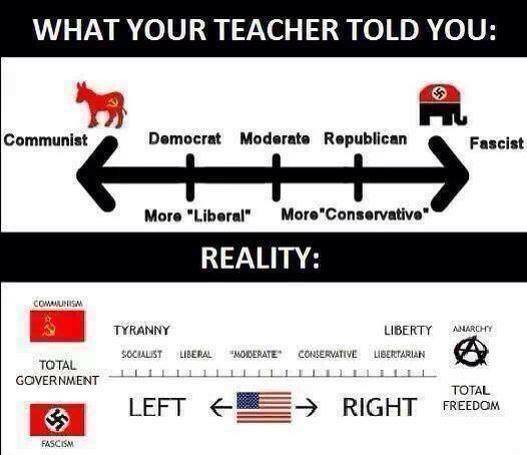 This is confusing to young, ignorant liberals who don’t know that Nazism is just another leftist branch born from the leftist ideology that is founded in socialism. 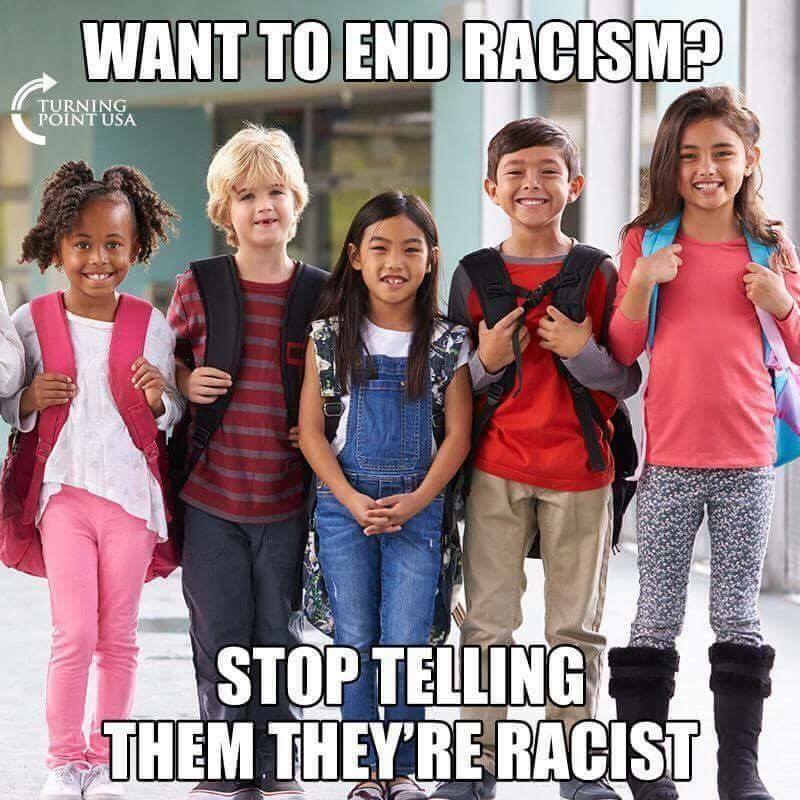 The left accuses the righteous of being racist because they promote good people. Black Christians are slandered and smeared as Uncle Toms and House N*ggers, which is amusing when you consider that black Democrats are the ones working for their slave masters. The left is the ideology of bigotry that promotes anti-white racism, anti-Christian bigotry, and anti-Americanism. They slander all white people as being white supremacists just for things like blacks being a far larger part of the prison population than the general population. 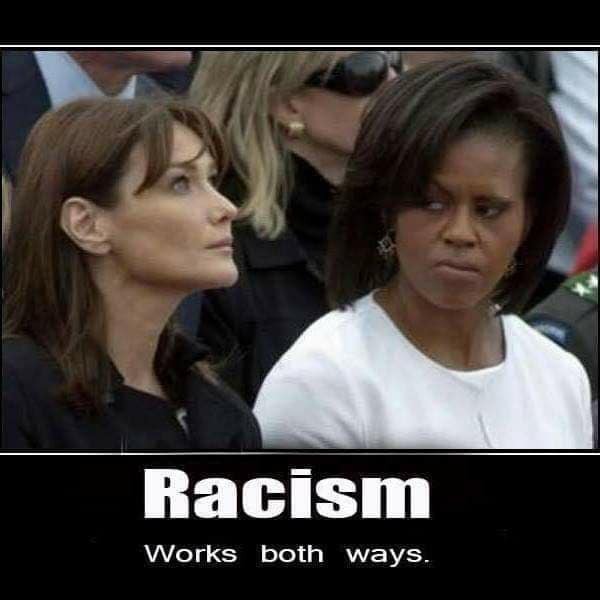 They say that’s racism at work. It isn’t white racism that causes young black men to glorify gangsterism and commit violent crimes at ten times the rate of any other demographic group, but to point out that truth they say is racist. That isn’t white racism, but black racism. Their idea of stopping real white supremacist bigotry isn’t about stopping racism when they are promoting black supremacist bigotry. Likewise, accusing President Trump of being a Russian agent committing treason because he talks to Putin and does business with Russians is also meant to slander the righteous and silence debate on the basis of their lies. The left always establishes a premise by which the righteous are condemned for sins they didn’t commit, while the left is always excused for their own mortal sins. This is what happens when atheists tell Christians what Jesus would do. Those who wage war against Christianity are the people who see God as an oppressor and Satan as a liberator. This backwards thinking is why leftism is the heart of evil and soul of deception like their master. 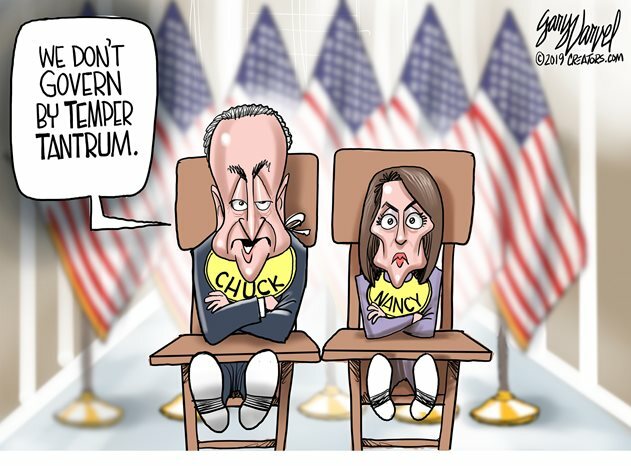 Schumer and Pelosi slander President Trump as “throwing a temper tantrum” refusing to bargain with them on the wall. They entered the negotiation with the absolute terms that they will give nothing for the wall. When Trump walked out stating there was no point in beginning a negotiation with such stubborn children, they ran to the cameras to slander him claiming he banged on the table in a fit and stormed out. How about letting the cameras in that you don’t want to see how you act in those meetings, Mr. Schumer? 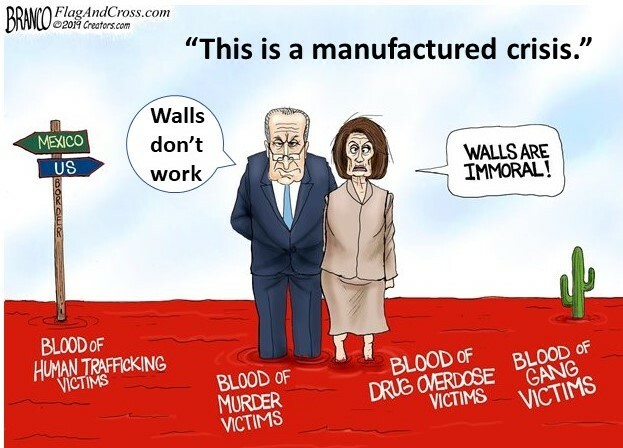 When you make statements of such galactic stupidity such as, “walls don’t work” and “walls are immoral,” you prove that it isn’t President Trump who is the childish problem in the room. Leftists don’t fear for the harm they do to others when they lie. They fear of being caught for their lies. Righteous people don’t abstain from lying for fear of being caught. They don’t lie for fear of doing harm to others. That is the difference between the right and the left in their souls. The righteous are not biased, they are partisan. There is no wrong in choosing a side, while there is wrong in the side you choose. Being biased is misrepresenting a side. Leftism is biased against the righteous. Everyone lies, but criminals lie to harm others. Stealing and poisoning people’s minds is in their nature. Because that is what is in their minds, they accuse the righteous of being worse because they do not trust others. It’s the meaning of “honor among thieves,” which is why thieves never trust honest people. Because it is their methodology to steal wealth, that’s why leftists think all rich people are thieves and all wealth comes only by stealing it. So, they justify their theft by condemning the righteous unjustly. 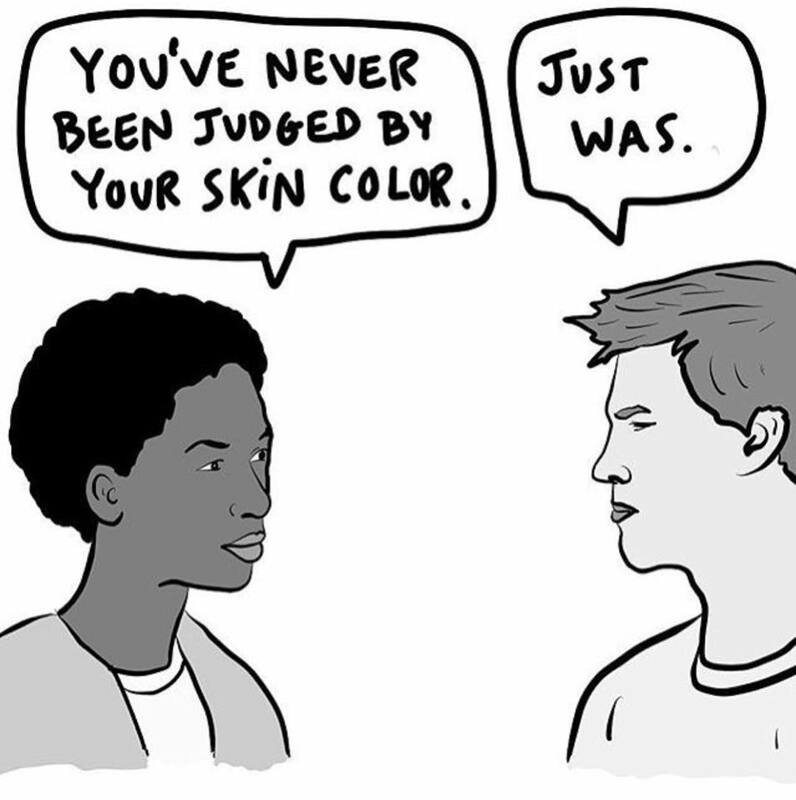 Likewise, white privilege isn’t white racism, it’s leftist bigotry to believe such a thing about white people. When the racist leftist sees a successful white person, they blame their own failures on others. Theirs is the ideological sins of greed and envy, sloth and pride, believing they deserve more than they are willing to work for but are all too willing to take it from others. Similarly, Democrats condone black racism in America today. They don’t do this to make amends for the slavery they inflicted on Africans, but to seduce them into being thieving slaves on their behalf. 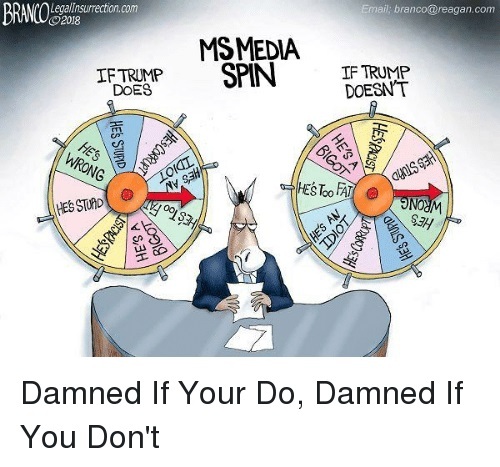 The Democrat media that constantly writes stories to slander Trump declaring him a Russian agent who hacked the election and is obstructing justice is why hearsay is worthless. The Russian collusion fraud and the bogus investigation are all part of the left’s making false accusations, admitting they are false deep in the story, and counting on people’s shallowness to not read beyond the headline helps keep their false narratives alive. Most people make the critical mistake of only skimming the surface without delving into the facts. Then they are often caught promoting false facts as the truth. 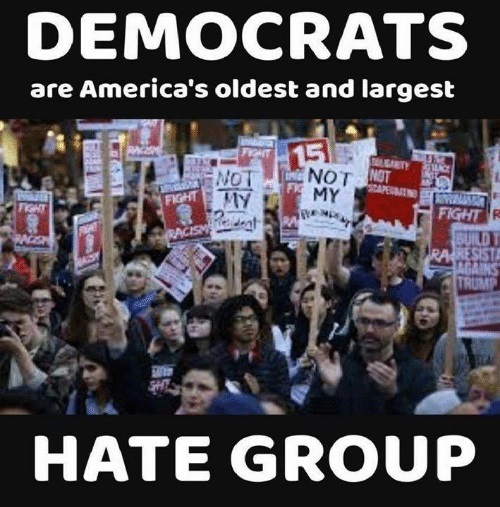 Their opposition to Trump’s choice to replace AG Jeff Sessions who refused to confront Democrat crimes with William Barr is solely based on their hate of the right. They demand he recuse himself because he has opinions that don’t coincide with their own. 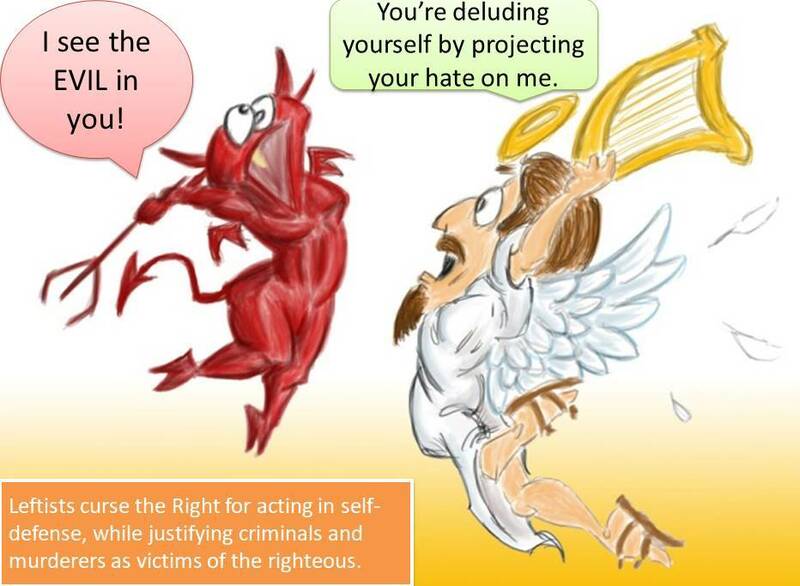 This is how the left hobbles the righteous from confronting them for their crimes. 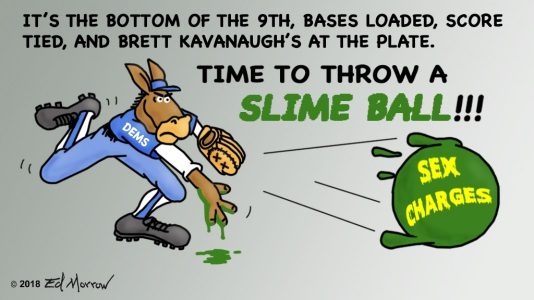 The left is the advocacy of criminals and the Democrats are the party of crime in America. It is they who have fought to have police and citizens disarmed, but leave them with the weapons in the hands of criminals and a military under their control. 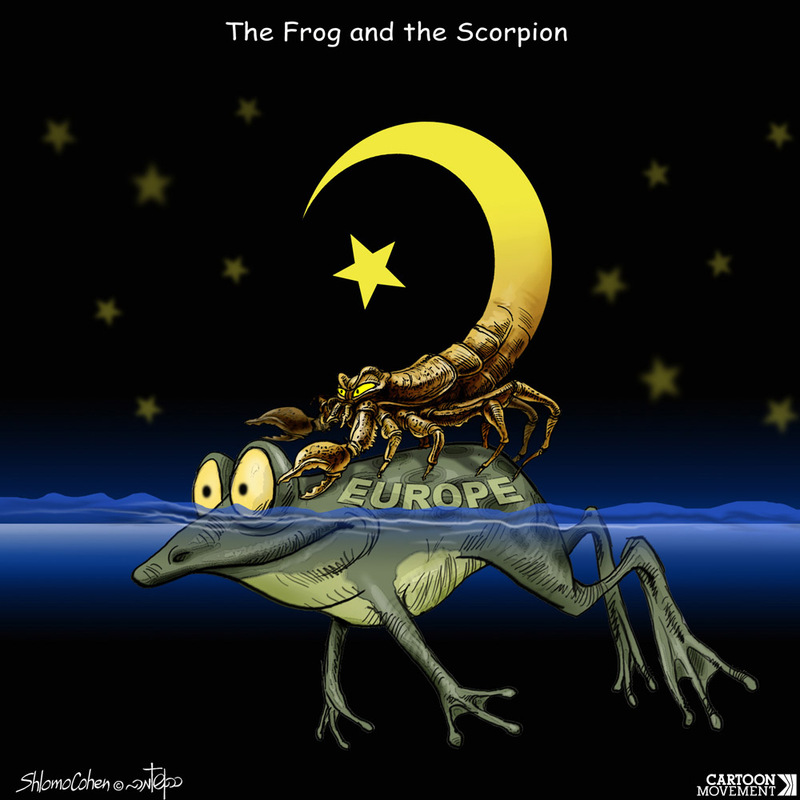 The Axis of Evil in America is founded in leftism that seeks to overthrow American law, take freedom from the people, and establish itself as the tyrant by duping the people that their nature is the opposite – like the story of “The Scorpion and the Frog.” Leftism is not a progressive ideology but regressive one taking power from the people to give all power back to the elites. No matter how good America has had it in the past the future is always at stake. Every generation must fight for freedom. America will fall unless the young learn to determine right from wrong and fight for liberty rather than be duped by propaganda to embrace what is evil and fight for slavery. Imagine how former black slaves felt in the 1930s as they watched their grandchildren go back to the Democrat Party. Today’s youth is being duped by the left to embrace the ideology of communism and the tyranny of elitist rule because they didn’t learn the lessons of their past. 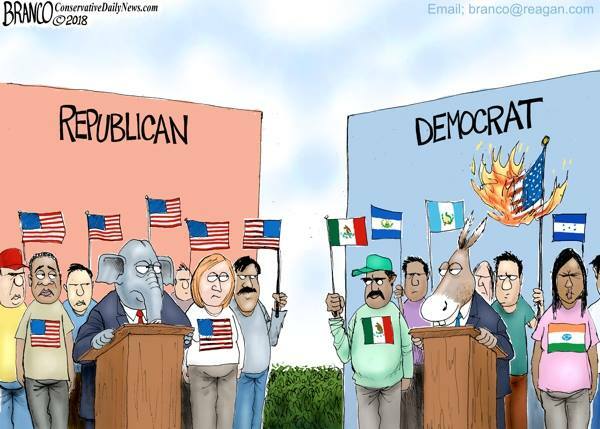 This entry was posted in Conservatism vs. Liberalism, Culture corruption, Elections 2018 & 2020, Illegal Immigration, Illegals voting, Islamism, Politics, Right vs. Left and tagged Americanism vs. Globalism, Anti-God Forces, Capitalism vs. Socialism, Christianity, Democrat ideology, Donald Trump, Truth vs. Deception. Bookmark the permalink. “This backwards thinking” catchy~catchy …liked it.